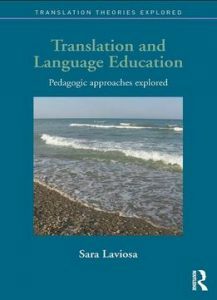 In this book, Sara Laviosa proposes a translation-based pedagogy that is grounded in theory and has been applied in real educational contexts. This volume draws on the convergence between the view of language and translation embraced by ecologically-oriented educationalists and the theoretical underpinnings of the holistic approach to translating culture. Itputs forward a holistic pedagogy that harmonizes the teaching of language and translation in the same learning environment.